Tower offers electromagnetic type 120V AC buzzers for industrial and commercial applications such as tip over, end of cycle or event failure alarms. 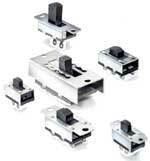 Electromagnetic buzzers offer superior reliability and ideal for continuous and intermittent duty applications. Typical uses of buzzers include small household appliances, washers, dryers and alarm systems. 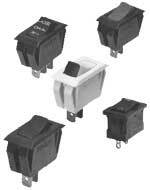 Customers have a choice between terminal or lead wire connector types. All Tower buzzers meet UL and CSA requirements.